I care for you, deeply! 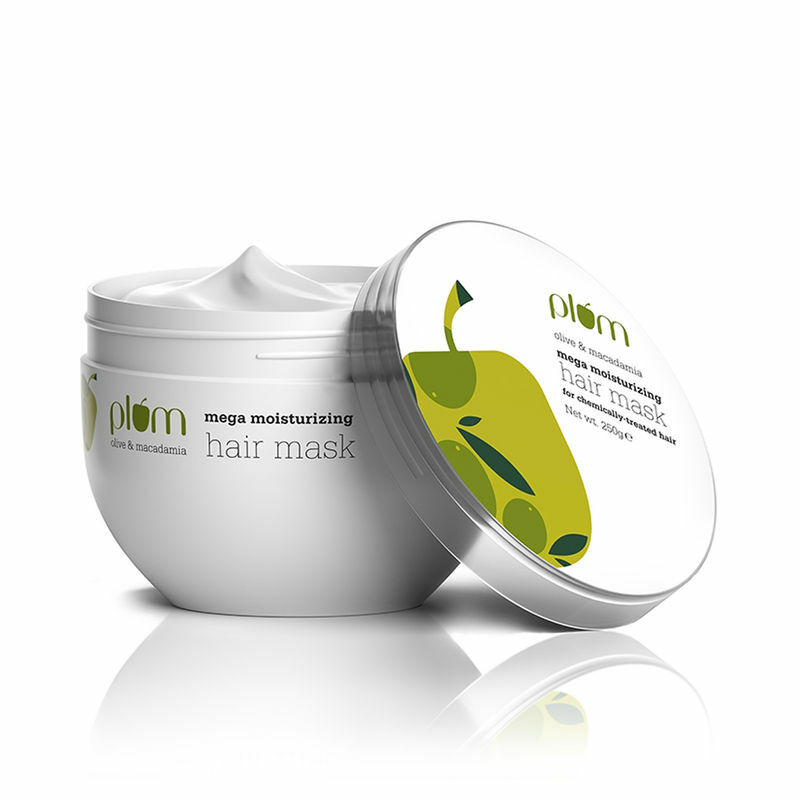 The Plum Olive & Macadamia Mega Moisturizing Hair Mask is a treat, and not just a deep conditioning treatment, for your hair. Deep moisturizing, nourishing hair mask made with love from olive oil, macadamia oil, shea butter and loads of other do-gooders for stressed out tresses. Specially processed pro-vitamin B5 and film-forming hair protectants shield hair from pollution and UV. This silicone-free hair mask moisturizes, softens and deep-nourishes chemically-treated, damaged hair. Use once or twice a week for hair that looks, and indeed is, healthier, softer and shinier. Shea butter - Well known for its hydrating properties, shea butter is non-greasy and helps give a silky, soft touch to hair. Olive oil fractions - Olive oil and its derivatives are rich in plant squalene, an excellent natural conditioning agent. This helps replace silicones in the formula. Plant-derived film formers - Made from tung wood and rapeseed oil, this biodegradable, botanically derived ingredient forms a protective film over hair, shielding it from suspended particulate matter (e.g., soot and dust) in air. Plant-derived keratin - Keratin (a type of protein) is an essential component of hair, and is responsible for giving hair its strength and shine. Keratin is most commonly animal-derived, but we're proud to use plant-sourced keratin in our hair care products. UV shield for hair colour protection - This is what good science is all about. A dermatologically safe, hair softening UV absorber that is proven to help hair retain its colour for longer, in the face of exposure to UV radiation from sunlight. About the Brand: Plum is inspired by the goodness in nature, and driven by the desire to be good and do good. Designed in a London studio, Plum products are always 100% vegan and cruelty-free. No parabens, phthalates or other doubtful - in any product. Marrying science and product expertise with innate love for nature, welcome to plum. Take in the goodness! Explore the entire range of Hair Creams & Masks available on Nykaa. Shop more Plum products here.You can browse through the complete world of Plum Hair Creams & Masks .